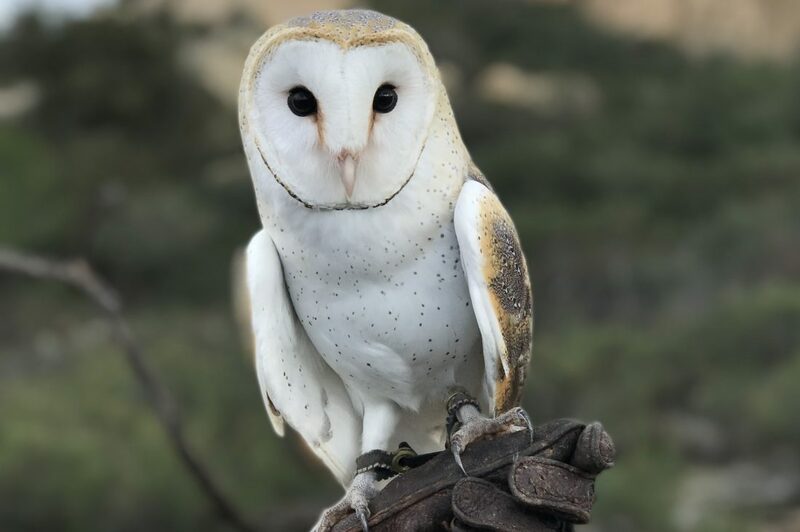 Named after Beatrix Potter, Beatrix is our North American Barn Owl. 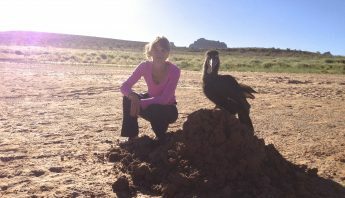 She has flown for documentaries, education programs all over California, and is a frequent at our programs. You can see her during our Owl Prowls. Guinness has been given the nickname “The Diva,” and like any owl, he does what he wants when he wants. 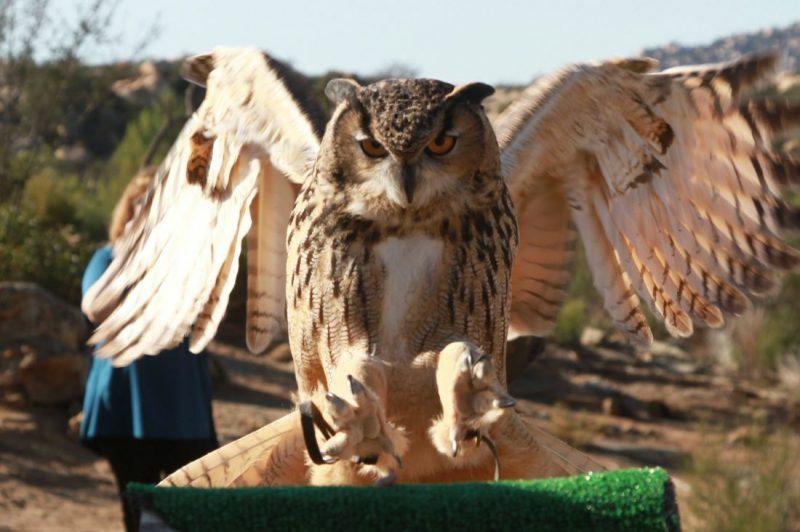 He has had television appearances, is a staple on our outreach programs, has met thousands upon thousands of owl admirers, and flies in our Owl Prowl, Bird of Prey and Ultimate Bird of Prey Experiences. 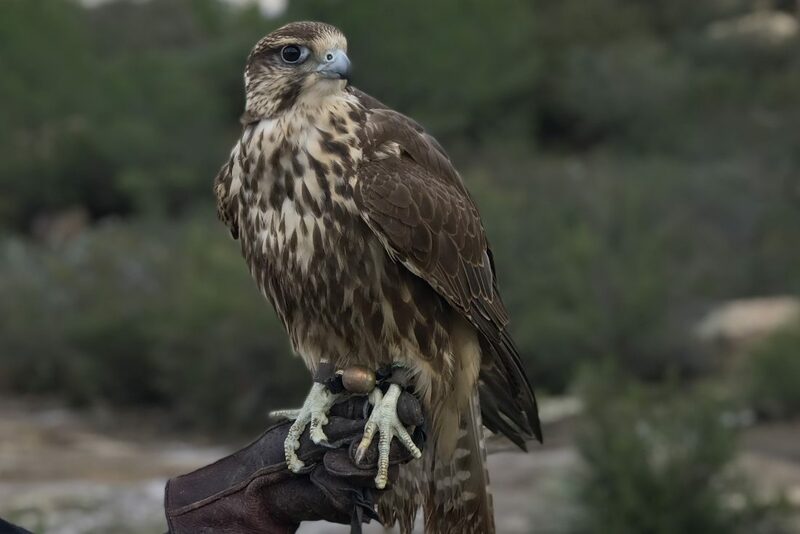 Juno is a 2017 hatch falcon, and the younger sister from a different year to Halley. We call her the brunette to Halley’s blonde, and she a bit less fiery than Halley. 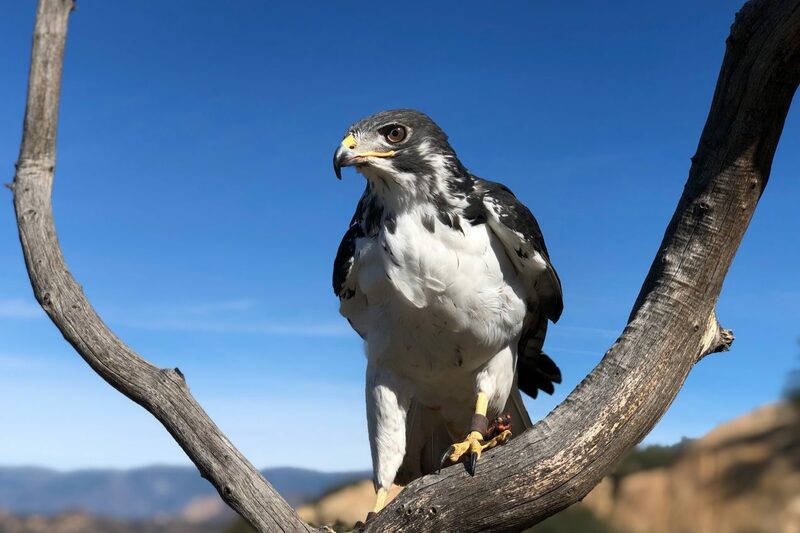 She sustained an injury to her toe and then subsequently tried to bite her toe off when she was young, so her training was set back for several months while we worked to heal the toe and keep her from destroying her talon. She has been a fun challenge to train. Huxley is a yellow headed vulture and a bit of a darling of ABI. 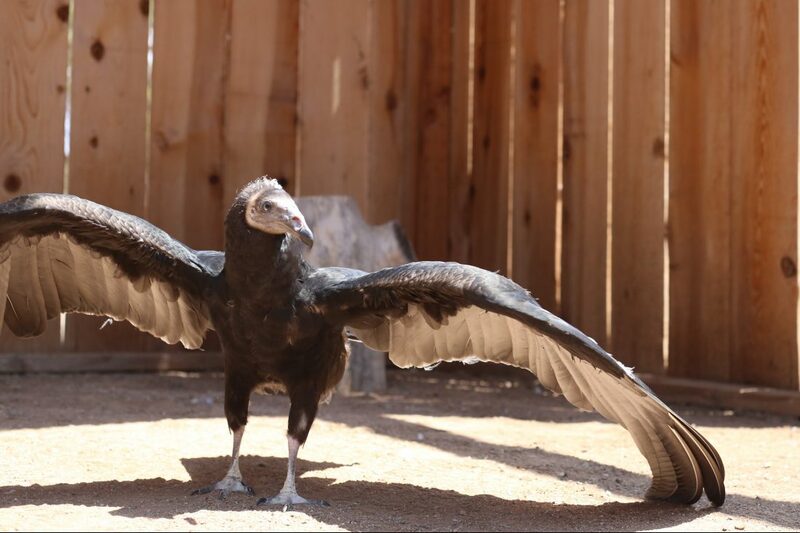 In his first year as a vulture chick, he helped raise over $500 for conservation that was donated to the Peregrine Fund, made appearances for vulture conservation, including on behalf of the San Diego Chapter of American Association of Zoo Keepers, and been on television to appeal to a wide audience on behalf of vulture conservation and stewardship all over. Yellow Headed Vultures are found in South America, and while not closely related to Old World Vultures, share a similar reputation in being ugly and unloved. 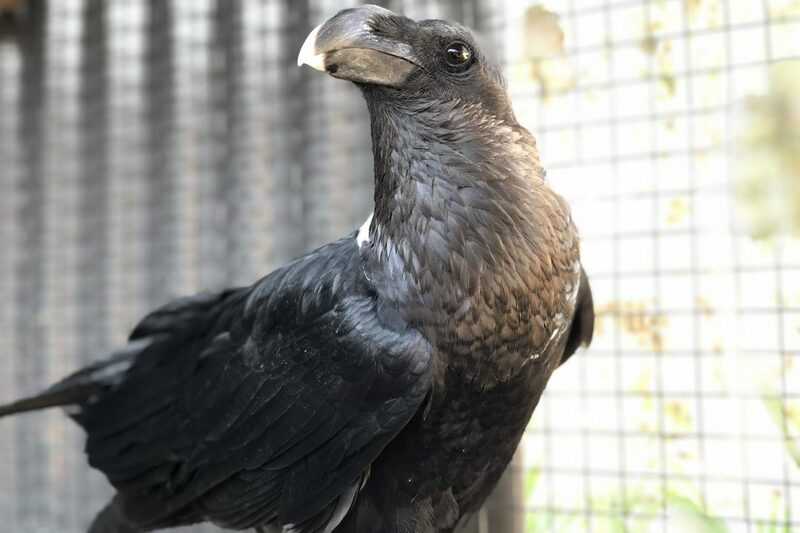 Huxley and Dallas the Turkey Vulture are here to help us change that paradigm and show how incredible, intelligent and important vultures truly are. He’s a regular on our Instagram stories and you can meet him in our Ultimate Bird of Prey Experience. A true favorite and loved by many, Kipling is intelligent, social, and incredibly curious. He’s a huge hit when he gets into his toys, sometimes pounding on them all day every day. 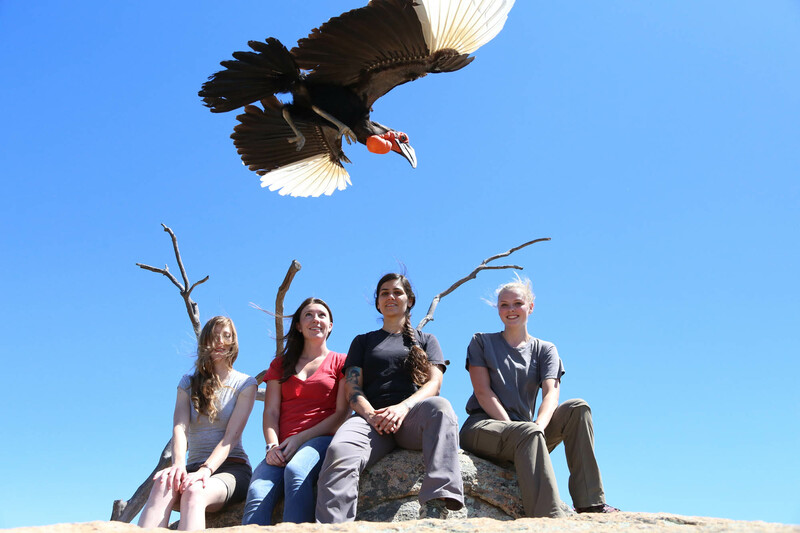 You can visit with Kipling at our Hornbill Hike. Linus came to us from our friends at the San Diego Zoo, where he had accomplished many feats displaying his intelligence. Here, has flourished, and enjoys figuring out his puzzle enrichment and interacting with trainers and guests. 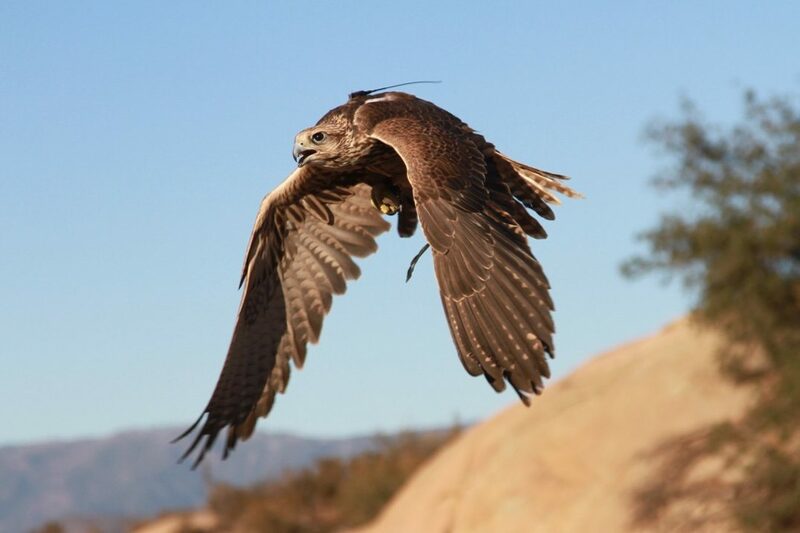 You can interact with Linus in our Ultimate Bird of Prey Experiences. 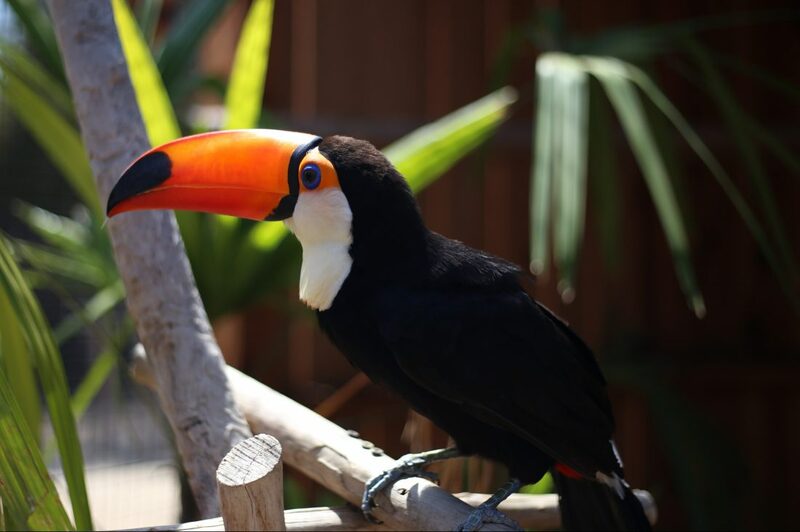 This gorgeous toucan is a popular visit on our aviary tours. Guests get to hop her on the hand and feed her. 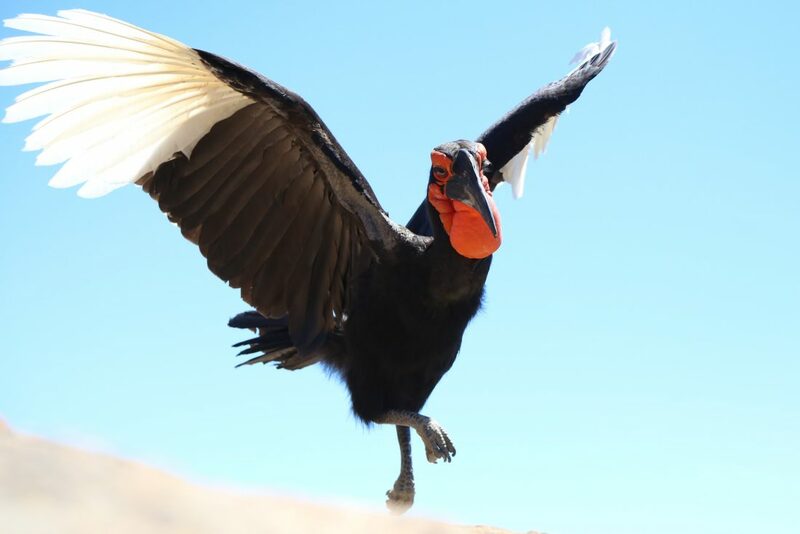 Toucans are interesting birds in the ecosystem and have been known to predate on chicks and raid other birds’ nests for eggs. Toco toucans are found not in the rainforest but in the Pantanal region of Brazil, which is a huge open woodland that gets incredibly hot and floods in the rainy season. 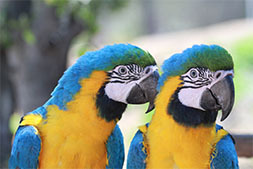 Our biggest macaw boys, these two buddies couldn’t be more different. Leo the hyacinth is often the last to take off and loves hitching rides, much to our chagrin. 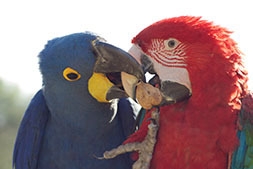 Luca the greenwing is one of our best flyers. 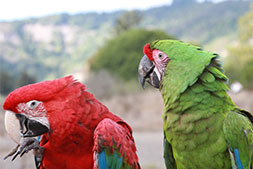 You can meet them in our Free Flight Macaw Experience and watch them eat up the horizon. Kingston came to us from Laney Rickman’s Bird Endowment in 2014 and we are honored to be a part of her legacy. 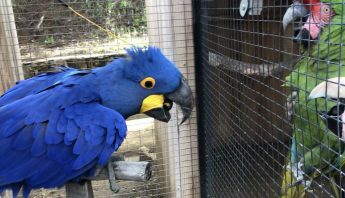 Blue Throated Macaws are among the most endangered of all macaws, and we are so fortunate to have people that walk the earth like Laney who make a true and lasting change. 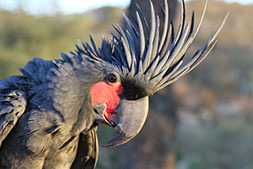 Perhaps some of the most beautiful of all parrots, the Major Mitchell’s cockatoo is a desert species found in Australia. These sisters act as if they will never see water again when we give them their shower time. They are such a treat, but also incredible little buzz saws. Perhaps best known for sitting on Conan O’Brien’s shoulder and cracking a walnut in his ear, Arthur has seen his picture make the rounds on the internet. He was set up for breeding but really prefers being by himself. 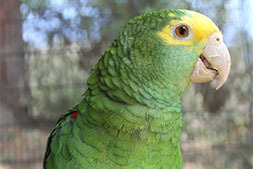 He makes for a great workshop bird, learning new behaviors with students and the training staff. 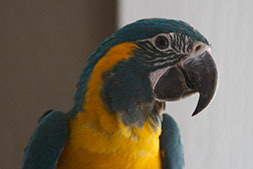 Like many Amazon parrots, Hugo loves to talk and sing. He gets excited when he meets certain people, and has been known to throw his voice in confusing ways. 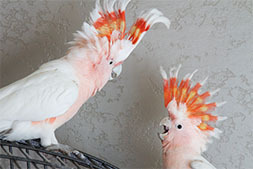 He is also incredibly good at imitating other parrot noises. 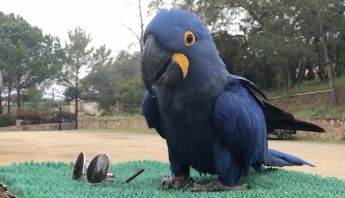 Hugo makes for a lot of laughs in the aviary.